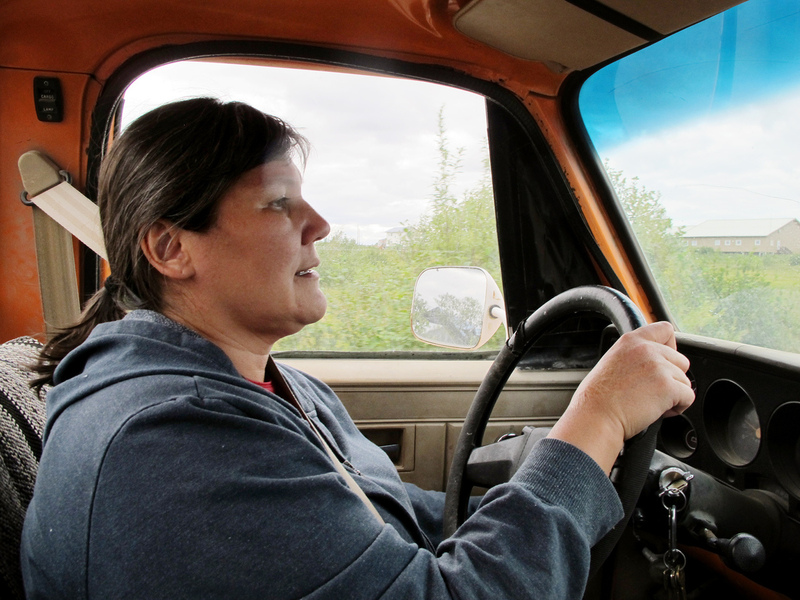 Valerie Davidson, Alaska's health and social services commissioner, drives her 1983 Chevy truck to pick up salmon for a dinner party for 50 people. In less than 24 hours, Valerie Davidson has 50 people coming to her house for dinner. She had planned to catch and cook enough salmon for the main course. But early in the morning, Alaska opened the Kuskokwim River to commercial fishing, which means subsistence fishermen like her can't fish on it. So Davidson and I are in her bright orange 1983 Chevy pickup stalking the "free fish" container where state biologists deposit their test catches after conducting studies after each high tide. We have been here for an hour, but Davidson is patient and persistent. It's the same approach she used as Alaska's health and social services commissioner while working to expand Medicaid in the state. During this year's legislative session, lawmakers blocked Medicaid expansion from coming to a full vote. She says it was a real low point for her. "I always have a hard time when as a state we make a decision to turn our backs on Alaskans who really need help," she says. "That's a tough one for me." 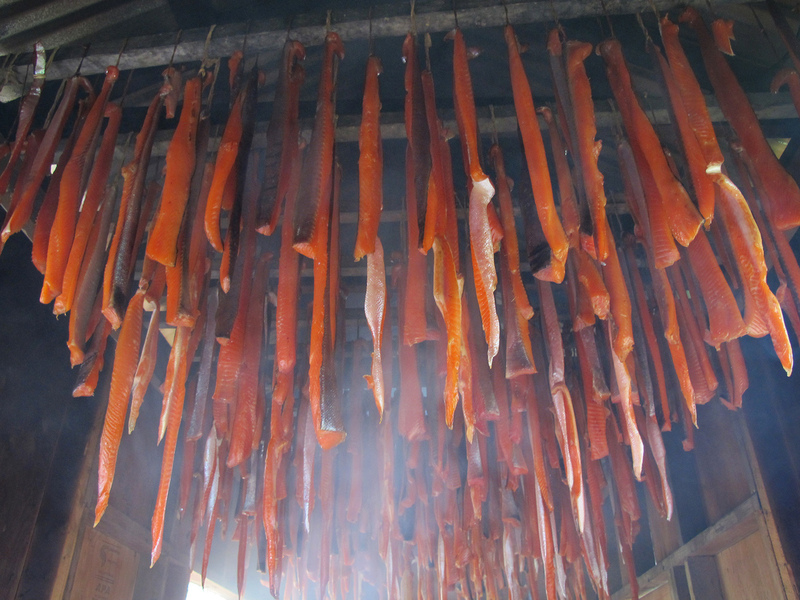 Strips of silver salmon hang in Valerie Davidson's smokehouse on the Kuskokwim River in Bethel, Alaska. "We have so many hard working Alaskans who simply don't have access to health care. They are missing work," she says. "It is affecting businesses. They can't take care of their children, they can't hunt, they can't fish when they're not healthy enough to do so." For Davidson, health care and fishing go hand in hand. She was born in Bethel, near the Bering Sea. Her family is Yup'ik, which is one of the 11 Alaska native cultures who tend to live in the western part of the state. In 1998, she earned a law degree and was soon recruited to work as a lawyer in Alaska's tribal health system. She lives in Anchorage, but spends her summers at her house in Bethel, where she works on health policy by day and fishes for salmon, nights and weekends, that her family will eat all winter long. She walks me around her property, stopping in the smokehouse where dozens of long strips of silver salmon are hanging from racks. She stuffs one more cottonwood log into the wood stove. She jokes it's like playing Tetris, but she's intent on getting just the right flavor for the fish. 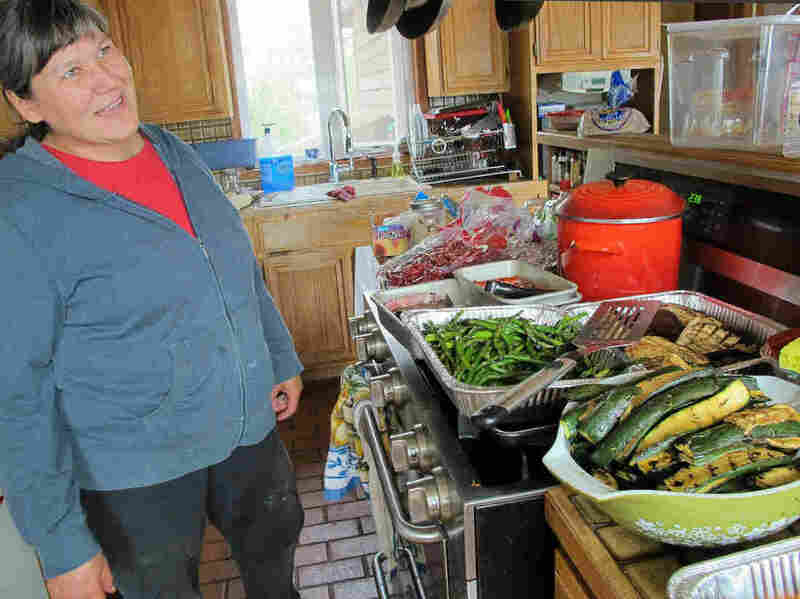 Davidson prepares dinner for 50 in her kitchen in Bethel, Alaska. Davidson learned this from her mom, a stern woman she lovingly describes as conveying the loudest silence you've ever heard just with her eyebrows. Davidson, who's Yup'ik name is Nurrii, recalls her mother had a few words when Davidson told her about the health commissioner job. "I said, 'Well, what do you think, Mom?' She says, 'Well, you know, Nurrii, we Yup'iks, we're very hard to impress!' " Davidson laughs hard and continues, "Such a classic Yup'ik response! And I said, 'Okay, Mom, that's fair.' "
In the house, Davidson's kitchen counter has already disappeared under piles of zucchini, asparagus and peppers. Tomorrow's dinner guests are from the W. K. Kellogg Foundation, an organization that, a decade ago, helped Davidson fund a new type of health provider in Alaska called a dental therapist. Now the state has more than two dozen of them working in isolated villages in Alaska. Davidson wants to develop more creative solutions to the state's toughest public health challenges. "We've seen it play out time and time again," she says. "When you can provide services at the local community level, you have better outcomes." But right now, she needs salmon from the free fish bin, Davidson is rubbing her eyes and wishing for coffee. Then, finally, a truck pulls in and Davidson springs out of her seat. "Are they silvers?" she asks excitedly. The biologist says yes, and she cheers and claps. "Thank you!" she says. The biologist drops 10 massive silver salmon into her plastic tote. She finds cooking a nice contrast to the patience she needs for her job, where it can take a decade or more to see results. "With cooking, there's a start, there's a finish. You feed people, there's something to show for it. For me, it's really relaxing," she says. But between cooking for 50 people and leading the state through the transition to Medicaid expansion, which could bring health insurance to up to 40,000 residents, she has a lot of work ahead of her. This story is part of a reporting partnership with NPR, Alaska Public Media and Kaiser Health News.